Plan to attend the Teacher Induction and Mentoring Forum on September 21-23, 2016at the Four Points Hotel in Kingston, Ontario. The aim of the first pan-Canadian Teacher Induction and Mentoring Forum is to initiate the pan-Canadian conversations among the interested parties who work with early career teachers from all provinces and territories in Canada. It is open for scholars, administrators, teacher induction and mentoring program coordinators, representatives from teacher associations, ministries/departments of education, universities, school boards, schools, and community organizations across Canada. The forum will feature a keynote presentation by Dr. Megan Tschannen-Moran and workshops on Evocative Coaching (Dr. Megan and Bob Tschannen-Moran) and Adaptive Mentorship (Drs. Edwin Ralph and Keith Walker). In addition, it will include pan-Canadian expert panel research presentations, round-table discussions, and early career teacher conversations sessions. If your work or research are related to induction, mentoring, or professional development of early career teachers, consider attending this forum. Register early as a limited number of complimentary registration is available. Complimentary registration includes access to the keynote session, workshops, and presentations. It also includes selected meals and access to the opening banquet and reception. Please, follow the link below to register for the forum. For more information and to register, visit our Forum page. Are you a new teacher? If you are a new teacher within the first 5 years of employment in a publicly funded school in Canada, we invite you to participate in our pan-Canadian study of teacher induction and mentoring programs. The purpose of our pan-Canadian research project is to explore the differential impact of teacher induction and mentorship programs on the early-career teachers’ retention across the provinces and territories. You will be asked to provide your perspectives and insights about your early career experiences with teaching, induction and mentoring programs, professional learning opportunities, and career development. The survey will take about 15 – 20 minutes to complete. There are no known physical, psychological, economic, or social risks associated with this study. This study has been granted clearance by the General Research Ethics Board according to Canadian research ethics principles, as well as policies and procedures of Queen’s University and University of Saskatchewan. Upon completion of the survey, you can enter your name into a draw for an iPad Mini 3. The draw will take place on July 16, 2016 and the winners will be contacted by email. 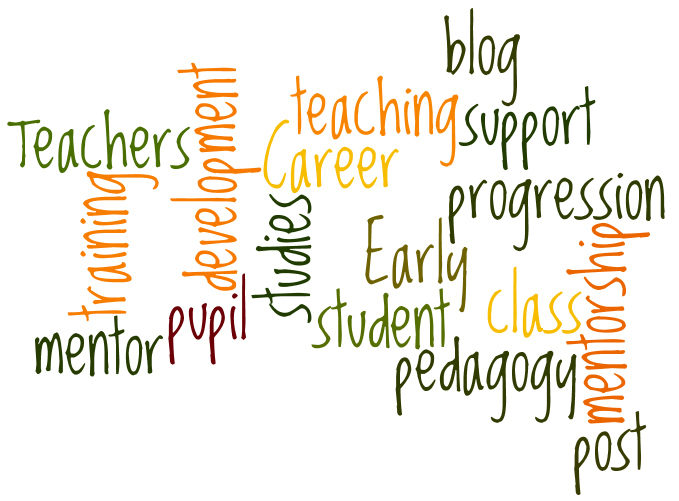 Welcome to the Early Career Teachers website! We are glad that you visited our website. If you are a new teacher, we are excited to come alongside with you on your journey. If you are an academic, practitioner, program coordinator, leader, etc. whose work is related to the early career teacher development, we value your insights and would like to engage in continuing conversations about your experiences with supporting beginning teachers. Feel free to explore the pages on this website and contact us about any questions you may have! Categories: career development, career progression, mentoring | Tags: Welcome | Permalink.